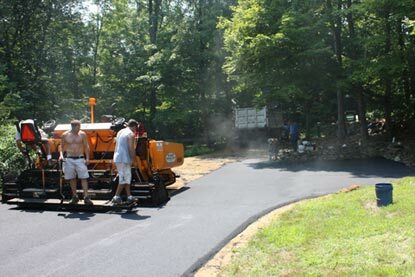 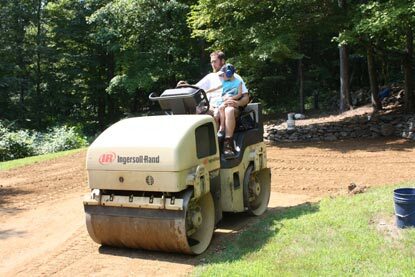 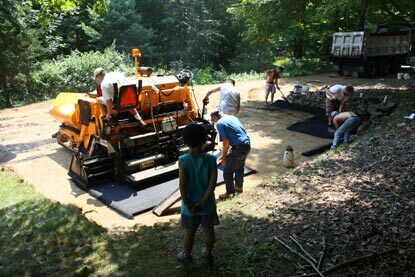 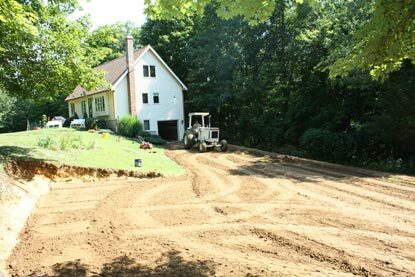 “We’re are absolutely delighted with our driveway, but even more impressive than the final product was the entire crew. 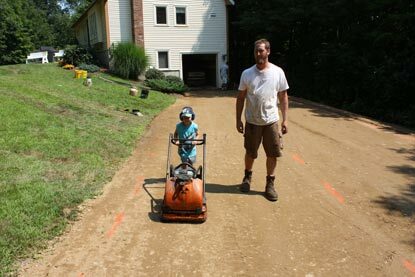 They were all genuinely friendly and clearly took pride in their work… We also can’t thank the guys enough for the experience our 4-year old son got to have while “helping” them. 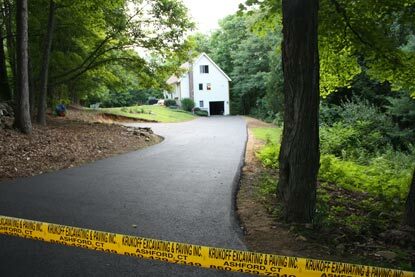 I don’t think he’ll ever forget it… We were just so happy for [our son] to have that experience.” Sincerely, Greg & Carrie G., Willington, CT.
“I’ve heard the saying that when purchasing a hammer, you’re really buying the end product — the bird house or picture hung on the wall or whatever. 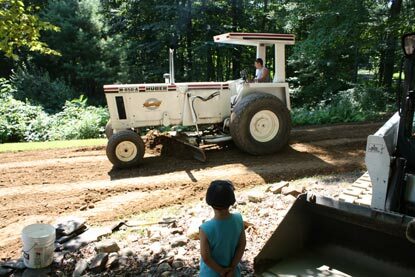 Well, [this picture shows] really why we bought a driveway. 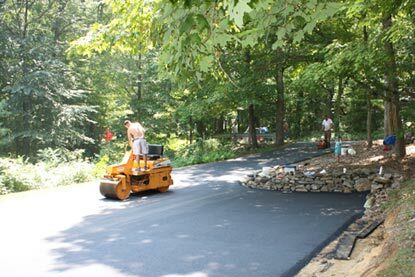 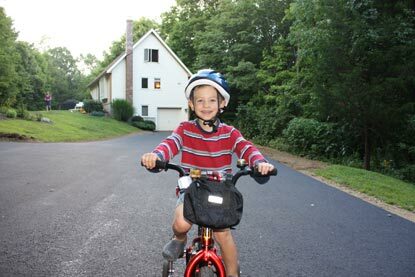 Here’s what your crew ultimately delivered…” Greg G., Willington, CT.